Those are WOW kishiaku. They really are. You have done fine work here. Good work and I hope your daughter is doing okay. Later I'll make the megazord with the bat wings closed, once I will finish my "batman''" works... And then start gekidairin. Gekidairin you say..? Does that mean there will be a combo between that and your Jungle Master? 0_0 b/c that would be awesome. Sorry, I've made a mistake. It's not gekidairin, but dorintohja.DORINTOHJA will be a megazord componed of jelly fish, bear (saidaioh size) and eagle. It will 2 modes, like predazord had in wild force. It's SANTASKID's idea. I didn't stated yet if it will combine with this jungle master or the gekidairin. I think I'll make both. P.S: My daughter is ok now, thank you all for your posts! I think I'll create a new topic in wich I would show all my works for the requests... I think it would be more simple for those who asked me drawings, and also for those who have new ideas... What do think about it? Last edited by kishiaku; October 15th, 2010 at 06:10 AM. amazing job as always, Kishiaku. Great job kishiaku. I would highly suggest that you PM McAster (or one of the Moderators) for permission to do so. Sounds like a summer cold, I had the same symptoms a few months back thought I was on the way out. what was the overall outcome of the tests? Didn't really found an origin... the stiff neck is due to viral problems, all symptoms are in correlation, but all problems are gone, she gets well now and came back home. We hope that it will now happen again. Aaaaahh, is dr house was her doctor! LOL at the unfortunate typo there. "We hope that it will now happen again." No, I bet you now hope that it will noT happen again! This isn't an "official" re-design, just a little advice. I'm not saying you have to do every thing that I type here, but you can take and pick what you want out of it. No 2 people have the same design process, but maybe you can get something out of mine. 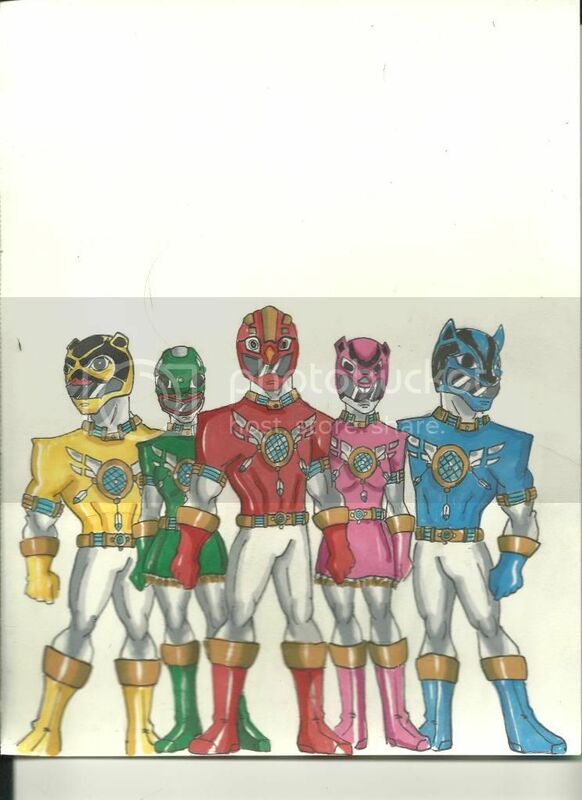 First, I start off with the color, usually, I do the red ranger first. He'll be the prototype for the rest of the team, and the extra rangers, if there are any. Designated Color + Silver= "Technologic" Themes, etc. Since I view chess as somewhat of a Mystic theme, I chose to use gold. Also, I wanted to keep the same color palette that you used in your original design. 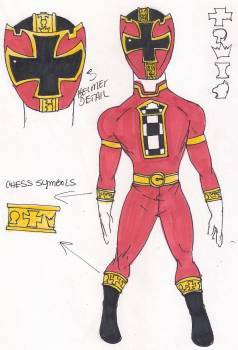 Budd, also, as far as your Native American design, I can have a "doodle" of the red Ranger up tomorrow, so you can have an idea of what I've done so far. Santaskid! Don't worry! I am working SO HARD on your idea!! In fact, it's driving me a little crazy lol. It's REALLY different. I think you'll enjoy it. I'm apologize for taking so long, but you guys know I'm a perfectionist. I don't want to just throw things on here that look like I didn't put any effort into it. Last edited by budd20; October 16th, 2010 at 09:22 PM.